1-story manufacturing building that has an urban industrial character. approx 8,000sf with 13ft ceilings and a fairly raw feeling. a front entry driveway with roll up gate and ground floor accessibility along with a 4-door loading dock and drive in the rear to make load-in and staging easy. open, column free space. 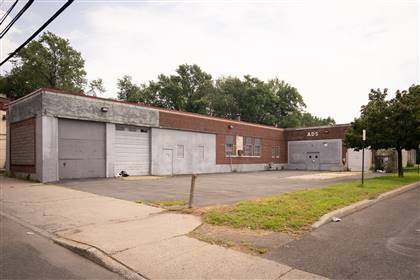 rooftop is available as well; a 3,500sf open lot on the Washing Street side is available as well. great outdoor spaces for a raw industrial aesthetic. an adjacent city-operated parking lot allows for easy access, and all day parking with no hassle. very few limitations on what can be done in the space.